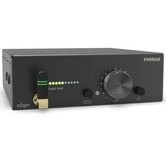 The Roger Repeater works to expand the operating range of the Roger Network. 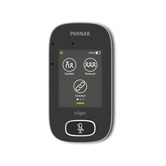 The Roger communication system renowned for being virtually invisible and delivering unrivalled sound quality, with plug and play setup, now also offers an unlimited range thanks to the Roger repeater. 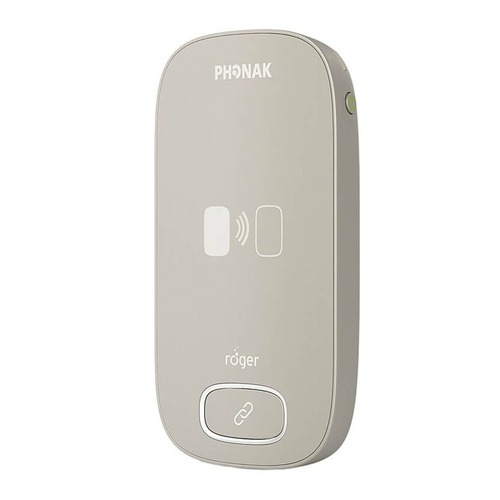 The Phonak Roger Repeater is for use with a Roger Touchscreen mic or BaseStation transmitter to increase the coverage area. The range of a Roger Touchscreen mic to a Roger 02 receiver is in the region of 15m, adequate for most rooms but sometimes a problem in a large hall or gym - the solution for this is to add one or more Roger Repeaters. A repeater needs to be paired at the same as an additional transmitter and has the same range as a Touchscreen transmitter; it can be battery or mains powered and wall mounted & also has a tripod mounting thread. Whilst the typical Roger transmitter to Roger ear level receiver is 15m, having more efficient aerials the typical Roger Touchscreen to Roger Repeater range is 50m. So if you are installing a repeater to cover a large hall it can still probably be installed on the far end wall. If a repeater loses its connection to a transmitter, it will automatically search for it, or for another available repeater, and connect to it. 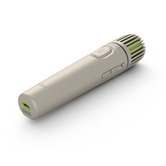 The Roger Repeater features an integrated rechargeable battery, and can operate for a working day without recharging. It can be powered or recharged through a standard micro-USB connection.